Exordium Mors are a band from New Zealand that plays a very fast, raw and brutal mixture of black, death and thrash metal and this is a review of their 2013 ep "Sacrifice, Perish, And Demise" which was released by Iron, Blood, And Death Corporation. A very fast, brutal and technical sound starts off the ep along with some blast beats and a mixture of black metal screams and deep death metal growls and the music combines black, death and thrash metal together along with a touch of war metal and after awhile the band brings in a mixture of slow, mid paced and fast parts. When solos and leads are added into the music they have an early 90's Florida death metal feeling to them and some of the melodies that the band uses have a very dark and Swedish style feeling to them as well as the fast parts displaying a raw approach to black metal and they take the old school style of extreme metal and update it with a more brutal touch and they close the ep with a cover of Venom's "black Metal" and take this classic song into a more heavier, raw and brutal direction. 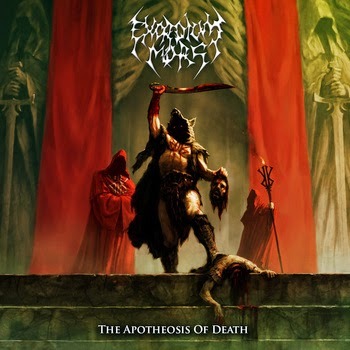 Exordium Mors take the heaviest and rawest element s of war, black, death and thrash metal and combine them together on this recording as well as adding in melody and technical parts to really make their musical style stand out out, the production sounds very raw, powerful and heavy while the lyrics cover Death, Roman Paganism and Anti Christian themes. 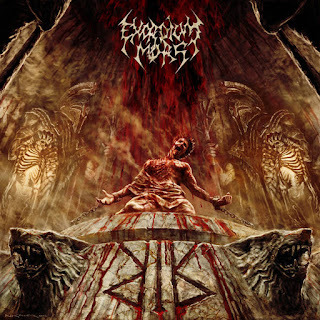 In my opinion Exordium Mors are a very great sounding fast, raw and brutal mixture of black, death, war and thrash metal and if you are a fan of those musical genres, you should check out this band. RECOMMENDED TRACKS INCLUDE "Sign of Judas' Liege" and "Exordium Mors (Pagan Ritual And Sacrifice To Roman Gods)". 8 out of 10. Propast are a duo from Serbia that plays a very raw and satanic form of black metal and this is a review of their 2014 ep "Vestnik Presisdodnji" which was released by Misanthropic Intolerance". A dark ambient sounding intro starts off the ep along with some epic and atmospheric elements being thrown in and after the intro the music starts going for more of a fast and raw black metal direction along with some blast beats and grim sounding high pitched black metal screams and the music has the 90's Eastern European black metal feeling to it as well as being both raw and epic at the same times. 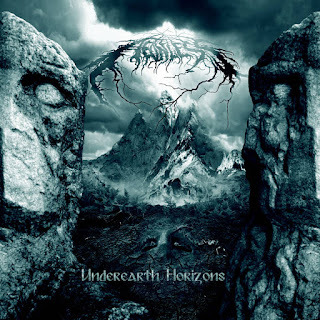 After awhile the music starts to bring in a mixture of slow, mid paced and fast parts and the vocals also have a depressive feeling to them at times and all of the tracks are very long an d epic in length and the music really starts heading for a more old school and satanic black metal direction on the following tracks, the third track shows more slower riffing than the first 2 as well as a bit more melody while also still having its fast moments and they close the ep with a cover of Graveland's "Thurisaz" that also remains true to the original version of the song. Propast plays a very old school style of black metal that captures the rawness of dark, evil atmosphere of the 90's style down perfectly, the production sounds very raw, old school and heavy while the lyrics are written in Serbian and cover Satanism. In my opinion Propast are a very great sounding raw and satanic black metal band and if you are a fan of this musical genre, you should check out this ep. RECOMMENDED TRACKS INCLUDE "u Plamenu" and "Thurisaz". 8/5 out of 10. 1. Greetings! Can you give us an update on what has been going on with the band since the recording and release of the new album “Lupus Est Homo Homini”? Aurgelmir: Greetings! Well, since the release of the album “Lupus Est Homo Homini” we’ve already started with the recording of its successor which will be called “Si Vis Vitam, Para Mortem”. Both of us (my drummer Arngrim and I) have a lot to do, so I think this new record will not be finished before summer or autumn 2015. 2. Can you tell us a little bit more about the musical direction of your latest output “Lupus Est Homo Homini” and also how it does differ from the stuff you have released in the past? Aurgelmir: “Lupus Est Homo Homini” is our most diverse output so far. We’ve recorded the most depressive, but also the most aggressive songs in the history of our band for that album. “Lupus Est Homo Homini” is split into four parts – the first part contains raw Depressive Suicidal Black Metal, full of sorrow, despair and grief. The second part is the aggressive one. The songs you can find there are hateful and misanthropic, as a result of a betrayal my band member Arngrim and I have experienced by so-called “friends” and society. The third part is concerned with patriotism and the love to our fatherland – Swabia in Germany. For me it was necessary to dedicate some songs to my homeland, we shall never forget our roots. The fourth part finally is a mixture between depression and aggression. All parts are linked with some little intros and interludes. So, as you can see, there will be no boredom by listening to our new album. The main difference between “Lupus Est Homo Homini” and our previous records, “Als Hoffnung starb…” (Demo, never released), “Eternal Sorrow” (EP, released in 2011) and “Thanatos” (full-length, released in 2012) is that “Lupus Est Homo Homini” is our first pure Metal album. On our previous outputs there was a mixture between Black Metal, Neofolk and Ambient. “Lupus Est Homo Homini” contains exclusively Black Metal with some piano-interludes. This is the biggest difference. And, of course, the sound-quality has improved a lot since “Thanatos”. Aurgelmir: The lyrical topics we explore are misanthropy (“Letztes Strafgericht”,…), sorrow, despair, loneliness (“Schmerz, mein einzig’ Freund”, “Winter im Herzen”,…), Northern and Celtic mythology (“Wuotans wildes Heer”,…) and the love to Swabia (“Suebia (Heimaterde),…). All of these topics are related with our past and our life. For example, I am Ásatrúar, I believe in the gods of old, so, Northern mythology is very important for me. I am trying to relate socio-critical topics with my religious beliefs, as I do in the songs “Der Menschheit Weltenbrand” or “Letztes Strafgericht”. The misanthropic and sorrowful lyrics are a result of personal experiences, for instance the betrayal I talked about. So, all of our lyrical topics have personal backgrounds. 4. What is the meaning and inspiration behind the name 'Tempers Creature'? Aurgelmir: Humanity is the biggest plague the world was ever faced with. Humans have forgotten how to love – there is no love in this world. Only hate. Everybody is begrudging his next; the people are unable to make compromises. Humanity is full of wrath, full of temper. We are all creatures of this temper. So, “Tempers Creature” is a synonym for this pestilence called mankind. In conclusion, the name is standing for total misanthropy. 5. Originally the band was a 1 man project, what was the decision behind expanding into a duo? Aurgelmir: That is easy to explain. In 2008 I founded Tempers Creature by myself, only using synthesizers, my electric- and my bass-guitar for my first two releases (“Als Hoffnung starb…”, “Eternal Sorrow”). You can say that Tempers Creature was Dark Ambient at this time. But my intention behind Tempers Creature was forming a Black Metal band. For that I needed a drummer since I am not able to play the drums – and drum programming was never an option for me. For the album “Thanatos” I’ve found a guest musician who played the drums for me, but I need stability to create music without any restrictions. So, in early spring 2013 I asked an acquaintance - who is now my best friend - to join the band as my new drummer: Arngrim. That’s why I’ve expanded Tempers Creature into a duo. 6. The new album came out on Sturmglanz, can you tell us a little bit more about this label and also how would you compare working with them to your previous label Depressive Illusions? Aurgelmir: “Sturmglanz Produktionen” is an underground label specialized in Black Metal, localized in Thuringia, Germany. Some of the bands Sturmglanz is working with are, for example, “Paria”, “Urlog”, “Selbsttötung”, “Faagrim” or “Permafrost”. This label is supporting its bands very well, for example, there are interviews with the bands for the “Sturmglanz Webzine”, the label is promoting its bands wherever it can, and the person behind Sturmglanz is always there for you if you have any questions. It is a very professional and fruitful collaboration with Sturmglanz. But the main difference between Sturmglanz and my former label, Depressive Illusions, is: Sturmglanz is really only dedicated to the underground. Depressive Illusions has thousands of bands and outputs – and by thousands I mean thousands. It is impossible to stick out of this mass of bands. Sturmglanz has only a small amount of 18 bands they are working with. They are able to care for every single project and band, and that is very important for me. 7. On the new album you had some tributes to Burzum and Sturmpercht, can you tell us a little bit more about this tributes and the impact both of these projects have had on your musical sound? Aurgelmir: The two tributes you talk about are “Die Liebe Nerthus” from Burzum and “Wir rufen deine Wölfe” from Sturmpercht. I don’t think that I have to tell you something about Burzum in and of itself because of the projects fame. Burzum was a huge influence on my creative work, especially the two records “Filosofem” and “Hvis lyset tar oss”. The unique atmosphere Varg Vikernes creates with this albums are overwhelming. Both of these outputs are a huge inspiration for me and I like to cover Burzum songs to honor this band. Sturmpercht whereas is a Neofolk band from Austria and Bavaria. The lyrical topics of this band are alpine myths and Nordic mythology. I really enjoy listening to Sturmpercht, they create a very melancholic and dreamy atmosphere, coupled with a domestic music feel from the past where domestic music was a huge part of our culture. Neofolk is a kind of music I really appreciate; it is like coming home from a long journey - and the song “Wir rufen deine Wölfe” by Sturmpercht is my all-time favorite of this genre, so I decided to cover this song in my own style. 8. On a worldwide level how has the feedback been to your newer music by fans of depressive, black and pagan metal? Aurgelmir: I don’t think that we can speak of a worldwide level when talking about Tempers Creature, my project is relatively unknown. I’ve sold some albums to Mexico, Argentina, Brazil and the United States, but only one or two copies to each of these countries. Most of the people who are listening to Tempers Creature are from Germany, so, I don’t know if we can really say that there is something like a “worldwide level” when talking about my band. Well, apart from this, the feedback I’ve got so far was very positive, the variety and the atmosphere of the record were lauded a lot and that means very much to me. Aurgelmir: I will stay true to my music and my style of playing Black Metal. The new album “Si Vis Vitam, Para Mortem” will heading into the same direction as “Lupus Est Homo Homini”, it will be a well-balanced mixture between depression and aggression with the typical Tempers Creature sound. 10. What are some of the bands or musical styles that have had an influence on your newer music and also what are you listening to nowadays? Aurgelmir: The biggest influence on my music where the bands “Lifelover”, “Blutklinge” and, as I told before, “Burzum”. Especially Blutklinge is a very important band for me, it was my first contact with Depressive Suicidal Black Metal – you can say it was the beginning of the madness which was leading to found Tempers Creature. Other bands I really enjoy listening to are “Horn”, “Licht erlischt”, “Angest Herre”, “Lustre”, “Withering Night”, “Happy Days”, “Satanic Warmaster”, “Karg” and a lot more. I really enjoy a lot of DSBM and classical Black Metal projects. For me, Black Metal is the most compelling music we have nowadays. 11. Can you tell us a little bit more about the Pagan culture on the Suebians? Aurgelmir: The Suebians where a Germanic tribe, localized in the area which is now called Baden-Wurttemberg and Swabia. The most important leader of this tribe was king Ariovist who fought against the Celts and the Romans, he united a lot of tribes into a big Suebian-German kingdom, unfortunately he was defeated by Caesar in 58 B.C.. The Suebians where pagans, they believed in Allfather Wodan, in Donar, Ziu, Freya, in the Æsir and Vanir. After the Christianization of Europe the memory of our gods faded away, today only 20,000 people in Germany acknowledge themselves to the gods of old – I am one of them. And by people acknowledging themselves to Allfather Wodan I don’t mean those stupid pseudo Pagans, rising their horns, screaming: “Drinking for Odin”. I mean people who really live their lives in the old ways, living the old values. But even if those memories and values are fading, the culture was characterized by the Germanic tribes and their believes. You can see it on holidays like Easter which is a Christianized revival of the old Ostara-cult. Even the names of our days are connected with the gods of old: Wednesday – The day of Wodan. Thursday – The day of Thor, in Germany: Donnerstag, the day of Donar. So, even if we are only a few who stay true to the old ways, our culture was, is and will be Germanic and Pagan. Aurgelmir: Well, unfortunately I have not that much time to attend many hobbies. I enjoy reading, especially history-books about our ancestors and German history. Apart from this I like to do drawings and graphics. But, as I said, unfortunately my job takes up a lot of spare time, if I want to have the time to play music I’ll have to lower one’s sights concerning nonmusical interests. Aurgelmir: Thank you very much for this interesting interview. This was my first one in English, so, I hope my language skills are not too rusted. Good luck with the OccultBlackMetalZine and all the best for the future. For those that have never heard of you before, can you tell us a little bit about the band? The band was formed in summer 2009, but it was not before Ole joined the band in 2010, that we really found the sound and vibe we were looking for. From the beginning it has been our intention to play long atmospheric black metal. Trying to recreate the sound of a grand storm. We started off quite well with the band and had some of our songs played on a national metal radio channel. In 2011 we played at the Copenhell Festival in Copenhagen, and last year we played at Roskilde Festival in Denmark. The first album came out in April 2012 and gave us a lot of positive response in our home country and probably lead to some of the bigger local support gigs. According to the bandcamp page, you have a new album coming out in the middle of 2014, can you tell us a little bit more about the musical direction of the newer material and also how will it differ from the previous full length and demo you had release din the past? Yes, it's true we have a new album coming up. It will be out on September 15th 2014. We have still managed to stick to the original sound from the first album, but it’s not difficult to hear that we have also moved in some way. You will probably hear a change in how we play our instruments and how the songs are written. It’s been two years since the first album so we have moved a bit since then. The new record is faster and more intense, but still have the long and immersive passages, keeping it true to the first album. But we think the new record has a better overall flow in terms of the musical and lyrical themes. What are some of the lyrical topics and subjects the band explores with the newer music? There is an overall topic in the new lyrics. The lyrics are sort of written in ancient language and metaphors, refering to subjects revolving around the human quest for greed and power and the resulting corruption of the mind and the earth. How for instance the world is tainted with the influence from too much ridiculous TV, and from that the hunger and longing for false fame and mammon. What is the meaning and inspiration behind the name 'Solbrud'? The name Solbrud has many meanings in Danish. We all have different opinions and we also heard a lot of different opinions on why we call ourselves that, so we like to let each one decide what the name should mean. In Danish some of the meaning would be sun blast or burst, a bride of the sun, or simply that light is breaking to shadows or breaking out of somewhere - shining through. According to the R-A-B-M website the band is a part of the leftist and anarchist movement in Denmark, can you tell us a little bit more about your views on these topics? It's true that we have a connection with the left wing and anarchist and punk movement in Denmark, but it does not have anything in particular to do with the band as such, besides perhaps our personal attitudes may shine through in the music to some extent, and our rehearsal room being located in the radical left sanctum called Ungdomshuset in Copenhagen. What are some of the best shows that the band has played over the years and also how would you describe your stage performance? We have had a lot of great gigs during the last couple of years. We played for approximately 2500 people at Roskilde Festival last summer. That was quite an awesome experience and amazing crowd. But we have also played a lot of great gigs at smaller venues. If we play at a small venue and it's packed, its often more fun to play for a smaller crowd, getting more intimate and sensing the energy from the crowd and vice versa. We seldomly address the audience in speak, and that is as much because we have nothing to say as that we want our music to speak for itself. Do you have any touring or show plans once the new album is out? We are planning two release gigs in Denmark in september 2014. Besides that we will have a couple of shows around in Denmark when the album is out. In spring 2015 we will be touring Germany and eastern Europe. The band is signed to Euphonious Records, can you tell us a little bit more about this label? The old label that signed us for our first record is a danish label called Euphonius Records. It has switched it's name some times i think, and also been co-working with some swedish and norwegian labels under VME(Voices Music), who released some of the Ulver stuff in the 90's, among other things. On the new record we've moved up to a somewhat bigger danish label though, Mighty Music which is a metal label under Target Distribution. We received a lot of positive response for the first album which we are were happy for. We have followers from alot of places outside Denmark and Europe, and alot of people asked if we could come play near them. We started the band because we all love this genre, so its really awesome to get this much positive feedback, and hearing that people appreciate what we do from far away. Are any of the band members involved with any other musical projects these days? We all have a couple of different side and solo projects, but nothing really going anywhere or releasing anything for the time being. Where would you like to see the band heading into during the future? We'll just take one step at a time and see where that leads us. Sure we'd like to do more records and do more gigs outside Denmark. But we're certainly not in this for the money or the fame, because then I think we'd have chosen the wrong thing. We just want to play black metal 'cause that’s what we love to do. And if other people want to listen to it, that's just great. What are some bands or musical styles that have had an influence on your music and also what are you listening to nowadays? It would be a long list if we started namedropping, we all listen to a lot of different music. Of course we all listen to a lot of different black metal bands, and each of us have got our own personal favorites and tendencies to other metal subgenres, but we also like alot of different stuff like old 70's rock, blues, country, medieval folk music and classical music. Quite a few, but they’re not really so important in relation to our band. Thanks for taking your time with us for this interview, and thanks to all the people who support Solbrud and listens to our music. We look forward to releasing our next album. Chiral are a 1 man band from Italy that has been previously featured in my other zine "ADifferentShadeOfBlackMetalZine" with a musical sound that was more in the melodic and progressive black/death metal direction but this time around goes for more of a raw black metal sound while still having melodic and progressive traits and this is a review of his self released 2014 ep "Abisso". Wind, thunder and rain sounds start off the ep along with some synths a few seconds later which leads to some heavy and slow guitar riffing kicking in and after awhile melodic black metal guitar leads start becoming a huge part of the recording which also leads up to some deep and demonic vocals. After the intro the music really starts going for more of a fast, raw and melodic black metal direction along with some blast beats and grim sounding high pitched screams and there are also a decent amount of guitar solos and leads throughout the recording along with some acoustic guitars being utilized at time s and they bring a more progressive feeling to the recording while the main focus remains on a fast and raw black metal direction. When the ep goes into other songs you can hear some keyboards being mixed in with the acoustic parts along with one of the tracks being very long and epic in length and all of the musical instruments on the recording sound very powerful and and the epic track alos utilizes the raw black metal styling's of the second song and the ep closes with a piano outro which brings a dark ambient feeling to the recording. Chiral bring in a great amount of diversity on this ep combing fast, raw and melodic black metal with the more progressive leanings of the first recording and it makes the music sound more original this time around, the production has a very dark, raw and heavy sound while the lyrics cover introspection, solitude, pain, death and love. In my opinion this is another great sounding recording from Chiral and if you are a fan of progressive, melodic and raw black metal, you should check out this ep. RECOMMENDED TRACK "Atto II: Abiso". 8/5 out of 10. 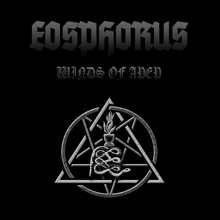 Eosphorus are a band from Sweden that plays a very raw and melodic form of satanic/occult black metal and this is a review of their 2014 album "Winds Of Apep" which was released by WormHoleDeath Records. Acoustic guitar playing starts off the album before the music starts getting heavier and darker along with a good amount of melody in both the riffing and solos and after the instrumental intro the music starts going for a more raw and melodic black metal direction along with some grim sounding high pitched screams. Blast beats van be heard in the faster sections of the music and the band also uses a good mixture of slow, mid paced and fast parts and most of the music is in the vein of Swedish satanic/occult black metal and there is a dark and evil atmosphere being included in all of the songs on the recording and the band also demonstrates a great amount of talent and skill on their musical instruments. Spoken word parts can be heard in certain sections of the recording and as the album progresses the vocals start to sound more deeper and hateful in sound and some of the guitar riffing also starts to utilize elements and thrash and the acoustic guitars also make their return on a later track before the music returns back to a heavier musical direction as well as adding in longer songs that utilize epic structures and a small amount of keys and some of the alter songs also bring in a good mixture of both clean and heavy parts. Eosphorus play a very true raw and melodic form of satanic black metal with their music remaining true to the Swedish style of occult black metal while also adding in more epic structures and the band has a perfect balance between speed, heaviness, aggression and melody, the production sounds very powerful and heavy while the lyrics cover Satanism, Occultism, Death Worship and Devil Worship. 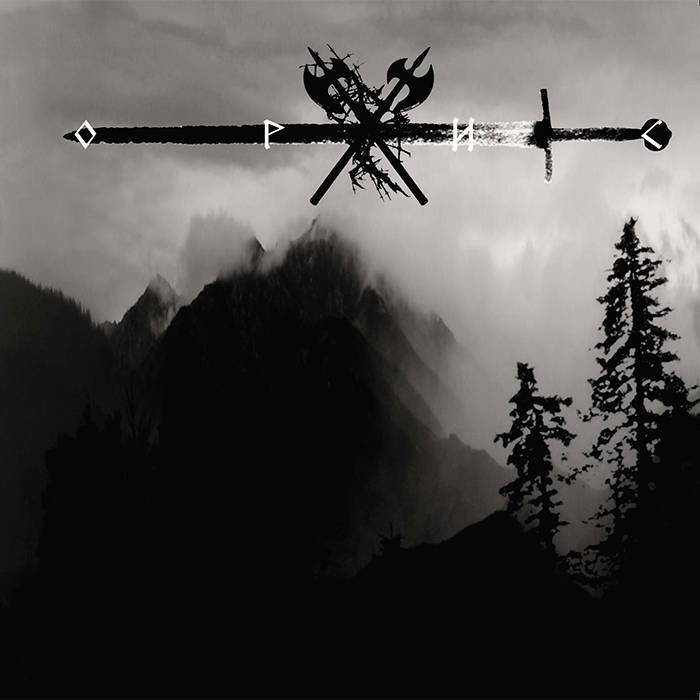 In my opinion Eosphorus are a very great sounding fast, raw and melodic satanic/occult black metal band and if you are a fan of this musical genre, you should check out this recording. RECOMMENDED TRACKS INCLUDE "Satan Redeemer" "Winds Of Apep" "Stand on My Side" and "Path Of The Dead". 8 out of 10. 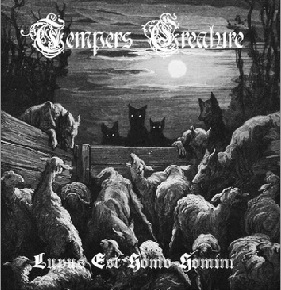 Tempers Creature are a duo from Germany that plays a depressive and pagan form of black metal and this is a review of their 2014 album "Lupus Est Homo Homini" which was released by Sturmglanz Produktionen . Nature sounds, acoustic guitars and synths start off the album and after the intro spoken word parts are added into the music before going into a more heavy, melodic and atmospheric direction along with some depressive suicidal black metal screams and after awhile the music starts to bring in a mixture of both clean and heavy parts. After awhile melodic guitar solos and leads start becoming a huge part of the bands musical sound and they also add folk instruments into certain sections of the recording along with some depressing sounding pianos while the main focus remains on a slow and raw depressive black metal sound while the music also has its fast moments and blast beats and most of the tracks are very long and epic in length. As the album progresses there is a short instrumental being added onto the recording while the following tracks have a more atmospheric feeling to them as well a s utilizing more fast and raw elements of black metal and they also start adding in a short song that have a more early 90's feeling to them as well as being somewhat of a departure from the more depressive nature of the earlier tracks and there are also a couple of instrumentals that are tributes to Burzum and Sturmpercht which both have a medieval atmosphere to them. The other half of the album shows the band going for more of an epic pagan/black metal sound and melodic female vocals are added onto one of the tracks while still having a depressive atmosphere and the vocals also start utilizing a small amount of growls and on of the later tracks is a Germanic folk music song and there are also some male pagan vocals being added into the music at times and after awhile the folk elements start to mix in with a more black metal style of sound. Tempers Creature create a very diverse and original sounding style of black metal with their musical sound and the album is divide d into 2 different sections the beginning shows a more misanthropic and depressive side of their sound while the other part is more in an epic pagan/black metal direction which also shows medieval and folk music elements which they still mix in with a depressive sound, the production sound s very dark, raw, heavy and epic while the lyrics are written in German and cover dark, depressive, misanthropic, Germanic and Suebian folklore and Paganism. In my opinion Tempers Creature are a very great sounding depressive/pagan black metal band and if you are a fan of this musical genre, you should check out this album. RECOMMENDED TRACKS INCLUDE "Winter im Herzen" "Der Misanthrop" "Suebia (Heimatarde)" and "Wuotans Wildes Heer". 8/5 out of 10. Xarkrinur are a 1 man band from Bangladesh that plays a mixture of depressive black metal and dark ambient and this is a review of his 2014 single "Cold Forest" which will be part of an upcoming ep split with Happiness Through Suicide which will be released by Acephale Winter later on this year. A slow, dark and heavy sound starts off the ep and brings in a very raw and distorted approach to black metal along with some grim screams and the music also starts to speed up a bit along with some programmed blast beats while also keeping the slow and mid paced parts around and you can also hear some ambient style noises in the background which gives the music a more lo-fi feeling and after awhile the vocals start having a more deeper tone to them. On this song Xarkrinur takes a very raw and depressive style of black metal and mixes in small amounts of ambient while keeping the music very dark and grim and I would like to hear more music from t his project in the future, the production sounds very raw while the lyrics cover suicidal themes. In my opinion Xarkrinur are a very decent sounding mixture of raw, depressive black metal and dark ambient and if you are a fan of those musical genres, you should check out this project. Yes, we’ve recorded our second album, ’Lime Veins Bleed Rust’ in Summer 2013. In that year we had a couple of gigs here in Hungary, for example supporting Lord Vicar or Dordeduh. Meanwhile we processed the releasing conception, and finally self-released on tape it in this year. We also contributed in a such interesting national art contest: we worked out a new song based on an old Hungarian folk-tale (we have an utterly rich legacy of tales) but this event is unfortunately cancelled by the organizer. So we’ll record this song some time in the future. It will be a next chapter musically also, a more nature-influented composition. 2. Your new album was released in May. How would you describe the musical sound of the newer music and also how does it differ from the stuff you have released in the past? We had the aim to stretch the borders of our Black Metal-based genre and create an exciting yet solid and mixture of our own. We also used totally non-metal solutions, touching apocalyptic jazz, austere rock or some natural ritualistic stuff. For us, above experimenting there’s a principle – result has to stay dark, rejecting fun. Basically, our new album definitely shows progression. Now we have a constant line-up for years so this time we had more creative time to set out ideas. We were very young at the time we composed our first full-length, around 18-19 years old, and we’ve became a little bit more experienced. This time we went to a studio which mainly does alternative/rock/pop releases and the enginner is a huge fan of vintage amplifiers, instruments which fit our ideas very well. We tried to sound NOT like the modern fashion - and we succedded. 3. The band labels itself 'extreme garage rock' - can you tell us a little bit more about that label? As I know, none of the genre names can describe what we do, so our vocalist Kristóf came up with this tag. Sometimes we had to define ourselves but we didn’t want to use ’Black Metal’ term anymore. Look at us – we have nothing to do with traditional satanic atmosphere, we’re different. I try to unravel it… ‘Rock’ mainly stands for our separation from Metal clichés (And ‘karst’ is also a type of rock…); ‘Extreme’ marks the usage of extremities in musical instruments and vocal tones; and ‘Garage’ refers to our dirty, old, punk-ish sound and the opposition to polished, soulless production. But it’s important to notice – we are always open to any creative solutions describing our music. 4. What are some of the lyrical topics and subjects the band explores with the newer music and also how would you describe your progress as songwriters over the years? Our main lyricist is Kristóf, our singer. On ’Lime Veins Bleed Rust’ he turned to be more extroverted unlike the 2011 debut ’Cleaning a Cave’ which dealt with rather self-exploring topics. We both got inspiration from mystical creatures, ancient fears, beliefs – and from reality: the bleak perspectives of the coutry side, the dissolving order of civilization and basically our world, near ready to collapse. Being the primal song-writer I can say my composition techniques developed through the years because my music studies, I learnt music since my childhood - and also because my private interest in this profession. Personally I am highly enthralled by the work of nowadays British/American pop producers. Although I don’t use this knowledge directly in writing the music of Karst, it helps a lot if I know structures of more foreign genres. We are not a jam band, we couldn’t be – our songs usually follow strict composition, particularly in the relation of guitar and bass. But we don’t want to confuse fans with causelessly complex tunes. I believe that the best result is when listeners couldn’t notice how hard to us sometimes to perform certain parts. It should remain an inner challenge for us. 5. The band was originally known as 'Nebulosus Fatum' - what was the decision behind the name change and also the meaning and inspiration behind the name 'Karst'? During the Nebulosus Fatum times in 2009 we had the opportunity to play in Rijeka, Croatia – it was the first experience abroad and we had good memories. In 2011 when our present line-up debuted – at the album releasing of ’Cleaning a Cave’ – we did such a memorable gig using surrealistic lamps on stage. Another unique one was a the so-called date of Mayan Doom in 21st December 2012 when we did a cover show of Ater Tenebrae, a Hungarian raw black metal band we honour for a long while. Besides these events we have played many shows in Budapest, the capital, supporting totally different acts. It was such a pleasure to realize we can play with anyone from extreme genres, mainly because we don’t sound similary to anyone. On stage we wore torn suits with ties, ’representing the rootless generation of post-socialism’ to cite from our biography. For our new album we made new outfit, now we are in patched vasts with white shirts, hailing to our favourite bands and our own roots. As our fans say we usually play powerful live shows, not just standing and gazing to our instruments, even if only 3-4 person are in the audience. We don’t care how much reaction we got from the audience, these primal spiritual energies have to be unleashed from time to time. Sure, but the opportunities are quite tight here. So far we were only gigging in Hungary, mainly accepting invitations to self-organize concerts in our hometown, Miskolc. For us the best would be touring in other countries too. During the years we have learnt not to manage things ’at all hazards’. Touring is like this: when the time will come we’ll be ready. 8. Currently the band is unsigned - is the band interested in signing with a label or do you feel that they are obsolete in the year of 2014? We are heavily interested in signing with a label, it could help us so much. Of course many DIY bands can exist without support from the background, we have plans which could be processed only by this next level. It would be a pleasure if our art could reach more ears by wider distribution. But I have to say even if I think signing with labels or going on tours are usually important things for bands, their lack can NEVER stop our creative ideas to execute. We have quite vivid visions where to move with our music and what kind of plains we’d like to touch. These aren’t depending on any other circumstances. 9. On a worldwide level how has the feedback been to your music by fans of black metal and extreme rock? Usually we have good reviews from time to time. Fortunately as we experimented a lot of different people are into Karst from punk/noise fans to open minded extreme metal listeners. Or even if the listener don’t like what we are doing we always take effect. 10. Are any of the band members involved with any other musical projects these days? Definitely! Our vocalist Kristóf plays villager death/groove metal with his other bandCageDeadDogs, they’re about to record their first demo. Balázs, our guitarist plays bass in another experimental, atmospheric metal act called Perihelion. - Eclipse – it’s a progressive metal band from our hometown, formed in 1990, I became involved as a drummer this year. Hope it will work, we’re still just rehearsing. So there’s so much things to do from day to day. As written above we have nearly exact plans what to do in the future. On our next release we’d like to cover some jazz standard classics in the raw Black Metal-ish way. We’ll release it next year. Besides it we are into acoustic ethno music and we are looking forward to try this organic instrumentation and create more so-called forest-like sound with acoustic guitar, clean vocals and folk instruments, still keeping the dark Black Metal heritage with blast beats and shrieks. Instead of leaving behind what we do now musically we rather make a totally new set for non-metal concerts. It’s the first time I speak of these new paths in public… so we’ll see when they come together. Well, we are definitely influented by the Scandinavian Black Metal scene of the early 90s like Darkthrone, Burzum, Gorgoroth. When we add other elements to our music I don’t care where it came from, composition for me is based on deeper intuitions. I don’t like to be needlessly exact, go and listen - find our influences yourself! Find out what do our music have to offer to your aesthetic system. We’re listening to quite different artists, hard to name common favourite. With Kristóf we like to idolize old school Swedish Death Metal such as Unleashed or Dismember, with him and Balázs we’re huge fans of bands from Norway mentioned above. Other band members like dirtier tones from sludge, punk or hip-hop scene. Nowadays I listen mainly to earlier bands of extreme metal, Black/Death stuff, darkened indie rock, post-punk, up-to-date pop singers like Ellie Goulding or ritual dark ambient for sleep like Equimanthorn, a side project of Absu. I rarely stay on one particular band or artists, I keep on know as much as possible and search for new ones. I’m into antique times, faded religions, Sumerians, Egypt, spirituality, occultism, human sacrifices of old ages, death cult and suicide. Mainly against present times. They aren’t necessarily connect to Karst but come through me in in a rather indirect method. Kristóf studied anthropology, he has more to do with the world surrounding us, also he’s quite into hedonism. Balázs deals with advanced mathematics, his long time favourite writer is Vonnegut. Tomi is hugely interested in football. These things make the line-up so diverse and multi-dimensional. Raggradarh are a 1 man band from Bulgaria that plays a heathen and pagan form of black metal and this is a review of his 2014 album "Oris" which was released by Vacula Productions. A very fast and raw black metal sound starts off the album with some grim screams and a decent amount of melody which leads to some atmospheric sounds and melodic pagan chanting being added into the music and the screams also get more high pitched and after awhile the music starts utilizing a mixture of slow, mid paced and fast parts. All of the tracks are very long and epic songs and the album continues the raw and atmospheric pagan/black metal style on the following tracks as well as adding in an old school black metal sound and after awhile you can hear melodic guitar solos and leads being added into certain sections of the recording. 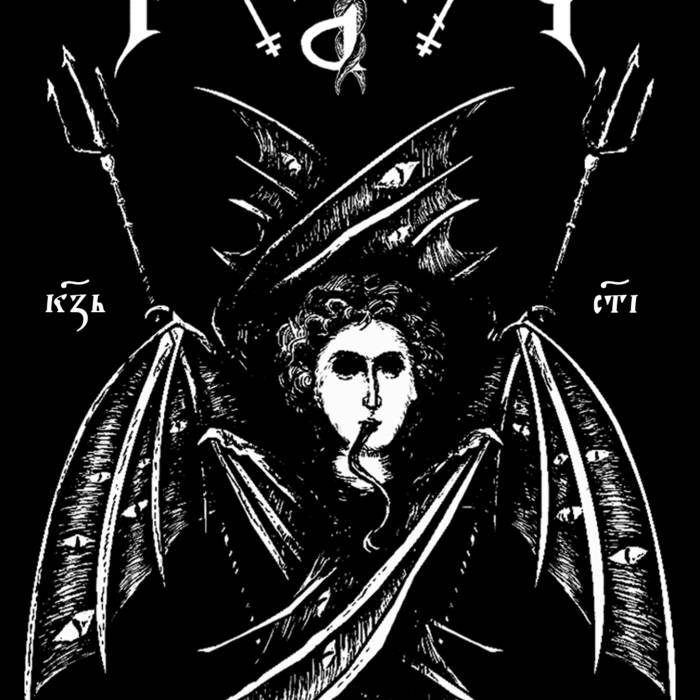 On the 3rd song when the melodic pagan chanting parts are added into the song the music starts evoking a more dark atmosphere as well as having a powerful sounding bass guitar towards the end of the track and the last song shows a more raw black metal style in the beginning and after a few minutes folk music instruments are added into the music and they music starts evoking a more medieval atmosphere while also retaining the raw black metal parts as well as addign in melodic vocals and a touch of classic metal. Raggradarh creates a very raw and melodic approach to pagan black metal with his musical style as well as adding in a dark atmosphere that really makes you feel the pagan gods being evoked, the production sounds very dark, raw and epic while the lyrics cover Slavic Paganism. In my opinion Raggradarh are a very great sounding raw and atmospheric pagan/black metal project and if you are a fan of this musical genre, you should check out this album. RECOMMENDED TRACKS INCLUDE "The Old Sword" and "The Doomed Ones". 8/5 out of 10. 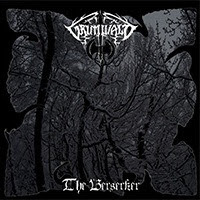 Grimwald are a band from Italy that plays a raw and atmospheric form of black metal with elements of ambient music and this is a review of their 2009 ep "The Beserker" which was re-issued by Vacula Productions in the year of 2014. 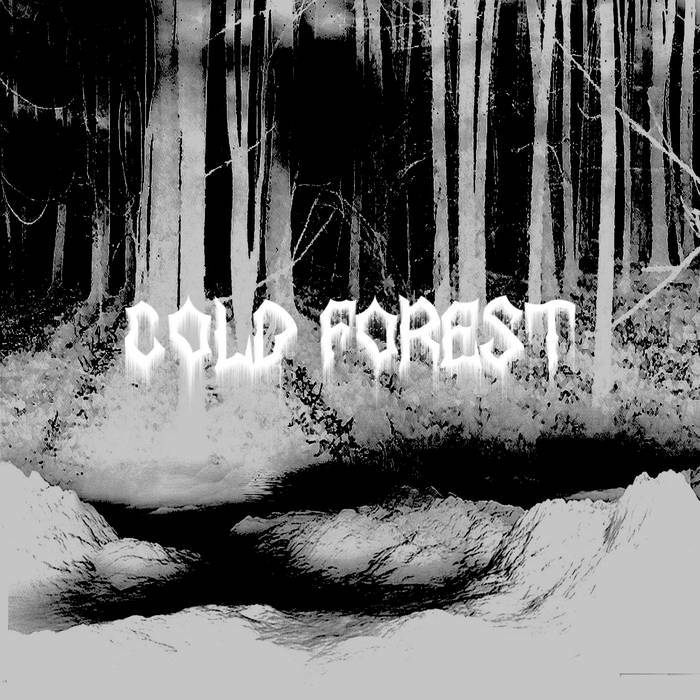 A very old school mid paced black metal sound starts off the ep along with some pagan style melodies and grim vocals and a few minutes later atmospheric sounding synths start becoming a huge part of the bands musical style along with some guitar leads a couple of minutes later that enhances the melodic nature of the music. There is a great mixture of slow and mid paced parts throughout the recording and the synths bring in elements of atmospheric and ambient music and on some of the other tracks there are small amounts of clean playing being added into the music along with some fast and raw black metal parts that also utilize a small amount of blast beats. As the ep progresses clean and soft playing or added into the music with a short instrumental before returning back to a grim black metal direction on the following tracks which also shows spoken word parts becoming a part of the ep's musical direction and there is also an 8 minute track which gives the music a more epic feeling as well as adding in a small amount of thrash metal style guitar riffing and the ep closes with a track that really displays a more raw orientated approach to black metal from this band as well as adding in folk music style acoustic guitars and depressive screams. Grimwald creates a very raw, melodic and atmospheric black metal sound that also uses a great amount of ambient influences and their music always evokes a dark and grim atmosphere, the production sounds very dark and raw, while the lyrics cover dark, depressive and nature themes. In my opinion Grimwald are a very great sounding raw, melodic and atmospheric black metal band with ambient elements and if you are a fan of this musical genre, you should check out this ep. RECOMMENDED TRACKS INCLUDE "Grimwald" and "In The Hungry Fields Of Despair". 8 out of 10. 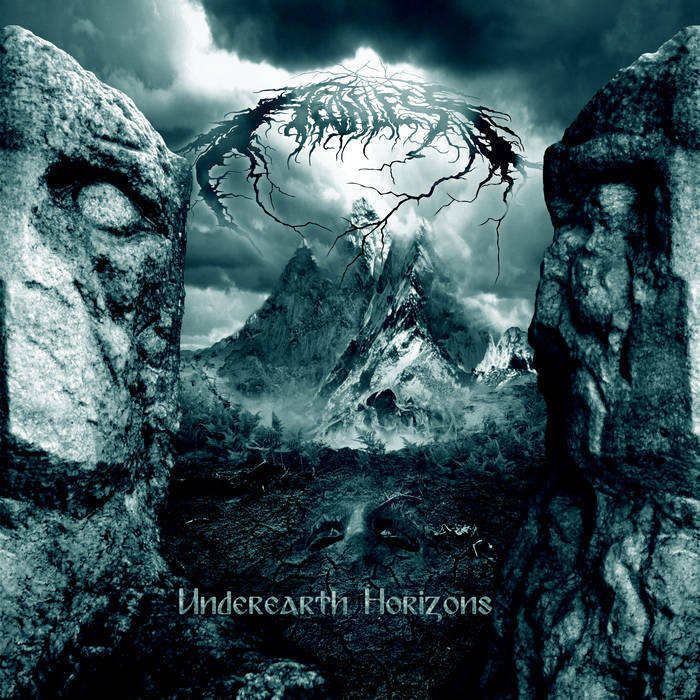 Aeonless are a duo with members from both Finland and Bulgaria that plays an atmospheric and depressive mixture of black and doom metal and this is a review of their 2014 album "Underneath Horizons" which was released by Vacula Productions. Classical music style synths start off the album and they also give the music an epic feeling and after the intro the music goes into a more heavy and atmospheric direction and adds in grim sounding black metal vocals and you can also hear a decent amount of melody in the bands musical style. After awhile a great amount of doom metal elements and guitar leads which use a great amount of melody are added into the music and you can also hear clean melodic singing and spoken word parts being added into certain sections of the recording and the recording sticks to mostly a slow or mid paced direction. As the album progresses the music starts to add in a few preludes along with clean and acoustic playing which also gives the music a more haunting atmosphere while the main focus remains on a heavier musical style and after awhile the vocals start utilizing more depressive sounding black metal screams and guitar riffing which is built upon a more black/doom metal foundation and at the times the vocals utilize a very deep and dark sound and throughout the album the band also bring in a few very long tracks which enhances the epic feeling of the recording. Aeonless creates a very interesting sound with their music taking a blackened doom metal style and mixing it with the more atmospheric and depressive side of black metal as well as adding in a great amount of melody which results in a very diverse and melancholic sounding album, the production has a very heavy and powerful sound while the lyrics cover dark, depressive, misanthropic and melancholic themes. 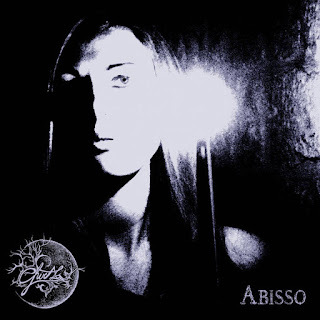 In my opinion Aeonless are a very great sounding atmospheric and depressive mixture of black and doom metal and if you are a fan of those musical genres, you should check out this duo. RECOMMENDED TRACKS INCLUDE "Sword & Scythe" "Standards Of Misanthropy" "Vulture Of Decadence" and "Mountain Peak". 8 out of 10.